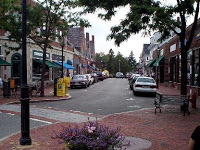 Situated just 9 miles North of Boston, Winchester MA is an extremely desirable town for young and older families for it's excellent school systems and amenities. Winchester real estate prices range from $350,000 to almost $3 million. The charming downtown area is nice for day trip for lunch, or for residents, there are some lovely neighborhood shops. Volume for real estate in Winchester was down substantially in 2011, yet prices were still up. Below is a comparison of the year end single family sales data from 2010 and 2011. Last updated April 25 at 3:49 pm.